Our team specialising in the Court of Protection and adult care is highly empathetic and attuned to the sensitivities required when advising or representing vulnerable individuals. We have 19 experienced and approachable barristers who practise in the Court of Protection, and they have a first-rate reputation among solicitors and local authorities. They practise in the Mental Health Tribunal and in the Special Educational Needs & Disability Tribunal, and some of them sit as Recorders. Our family barristers work closely with our other teams, including children and family finance, which helps to ensure continuity in the handling of more complex cases as well as access to a wide range of accurate legal opinion. 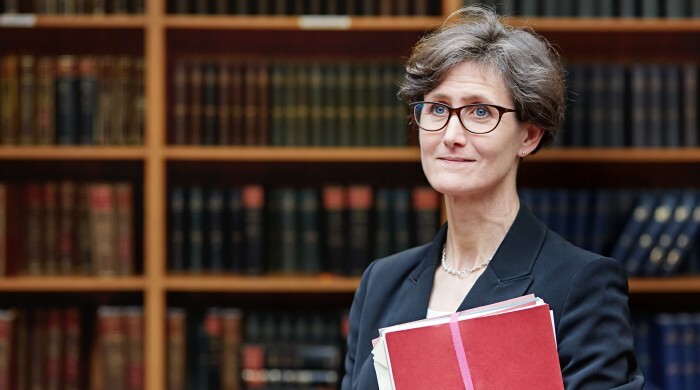 Our barristers are experienced and qualified to undertake Public Access work (which means they can be briefed directly by a member of the public, without the need for a solicitor), and we offer mediation services. Park Square Barristers will advise and assist in all areas, including: the best interests of children and vulnerable adults; consent to treatment; deprivation of liberty; deputyship; finances; property; capacity; accommodation; contact; residence; statutory wills; and consent to marriage and sexual relationships. Our team is experienced in handling cases involving complex medical evidence, and can undertake detailed analysis of expert evidence from a wide range of medical and scientific disciplines. We offer particular expertise in cases involving local authorities and the Official Solicitor. Our specialist barristers’ experience includes cases requiring psychiatric and psychological assessment and analysis; undertaking complex litigation in applications which go against the local authority’s recommendations; and representing family members of adults who are the subject of applications under the Mental Capacity Act 2005. We accept instructions for clients who wish to make applications in the Mental Health Tribunal or in the Special Educational Needs and Disability Tribunal, or who wish to oppose decisions made by local authorities which affect their mental-health needs and/or education. We are flexible about when and where they will meet with clients. Our facilities can host large round-table meetings, and we offer connected conference rooms for use in mediation or arbitration hearings. We regularly provide lectures, seminars & training on issues relating to family law to our solicitor and local-authority clients. A number of our barristers are authorised to represent clients directly (without a solicitor intermediary) through the Public Access scheme.